Even though the Prospero Family reached their personal goal of earning §100,000 simoleons before they start construction on their new house, yesterday was Thursday and it didn’t seem like a good time to start building, they have decided to wait until the Weekend to build their new house! 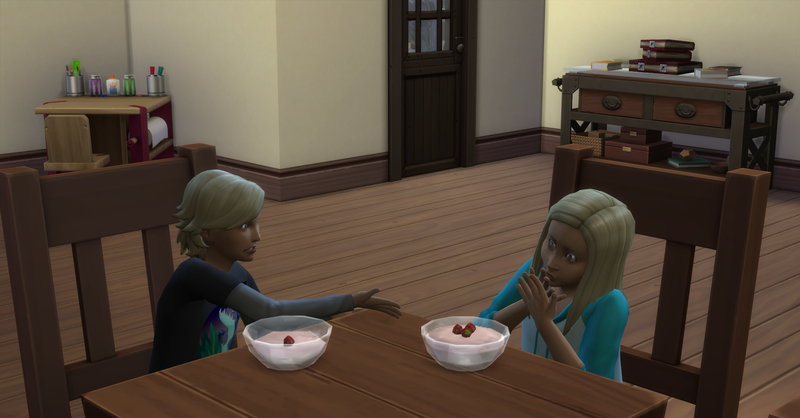 Fortuna and Forbes wake up first this morning, they grab yogurt since the stove is still broken from the other day. They don’t want to fix it since they will get a new one soon with the remodel. Forbes tells a dramatic story during breakfast. Generation “A” is in their childhood years and the Slainte’s are settling into their new mansion Barondale! For their first night in their new home Siobhan wants to prepare a special meal for her family. 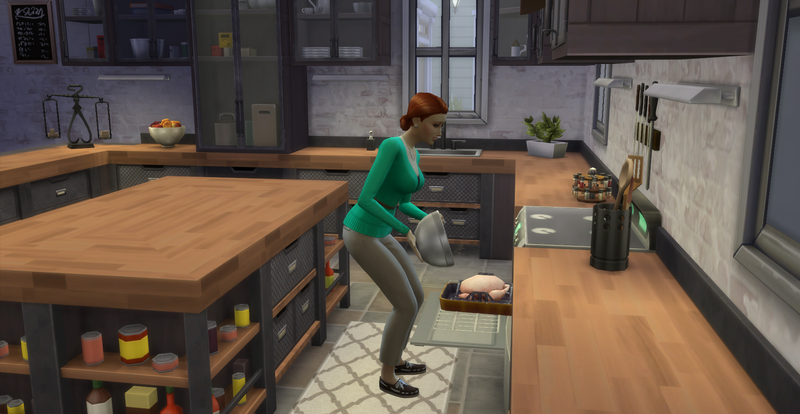 She chooses to roast a whole chicken in celebration of their new home and the future of the Family. Siobhan takes extra special care in the preparation of their first dinner in the mansion.